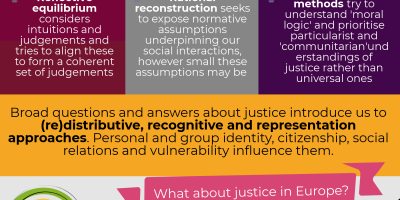 This subproject provides common - normative - background and a shared vocabulary for inter-disciplinary theorizing about justice and fairness within ETHOS. It reviews and assesses the primary concepts and theories of justice and fairness discussed in historical and contemporary (European) political philosophy, including representation, redistribution and recognition. 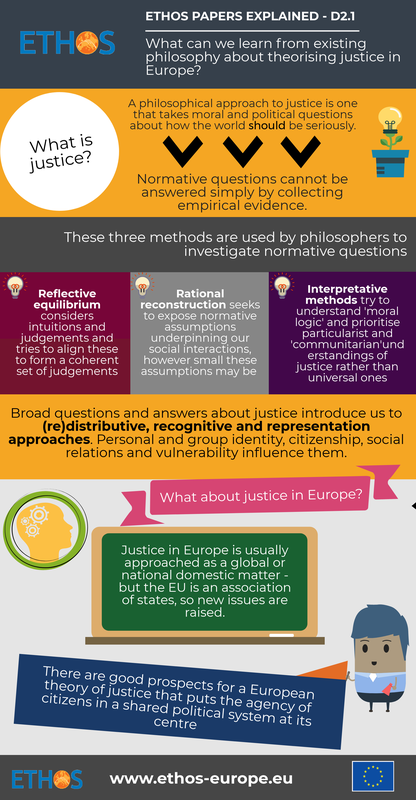 It also engages an inter-disciplinary dialogue about justice and fairness in order to provide a philosophical framework for better understanding the relationship between normative theories of justice and justice as social fact embodied in the discursive construction of justice in contemporary Europe, institutionalization of justice in European and national laws, subjective experiences of (in)justice and struggles for justice. 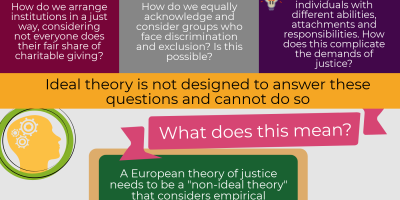 This report assesses the state of the art in ideal and non-ideal theory in political philosophy, and proceeds on this basis to make some practical methodological recommendations for integrating empirical and normative work toward a European theory of justice. 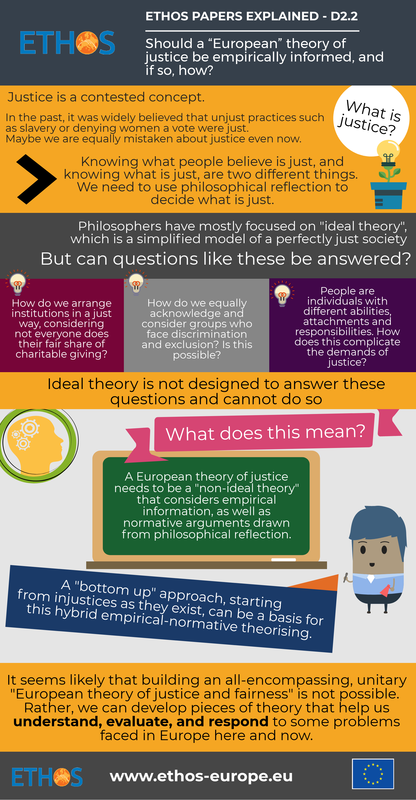 It is based on the findings of the Ideal and Non-Ideal Theories of Justice workshop, held on February 23-24, 2018 at Coimbra University (Portugal), as part of the ETHOS annual conference. Abstracts of papers presented are included in Appendix 1. Selected working papers presented are included in Appendix 2. This report provides an introduction to the European heritage of philosophical theorizing about justice, including contemporary debates. A ‘philosophical’ approach to justice is one that takes normative questions seriously (broadly speaking, normative questions are questions about how the world ought to be). Since normative questions cannot be answered simply by collecting empirical evidence, they call for a rigorous approach which differs from that of empirical science.